Wait. Before you judge me, let me justify myself. I did not intend to watch this movie. I had complimentary passes for this one, hence the mistake. Yes, it was a mistake, this one. Its surprising that Habib Faisal, the filmmaker, had previously given us a heartwarming film called Do Dooni Chaar that revolved around the daily struggles of a middle class family. Daawat-E-Ishq isn’t the typical love story. It doesn’t have only the boy and the girl, it also has a special appearance by the kebabs and biryani of Lucknow and Hyderabad (slurp!) How different from the usual, right? After having received high dowry demands, Gulrez (Parineeti Chopra) rejects all the suitors and instead picks Taru (Aditya Roy Kapur) who she plans to con and eventually expose to get him arrested. This guy surprisingly, proves to be the only kind hearted guy among the others, who doesn’t demand dowry, wow! I hopefully have been successful in painting a picture of the movie in your head too. (why should I suffer alone?) 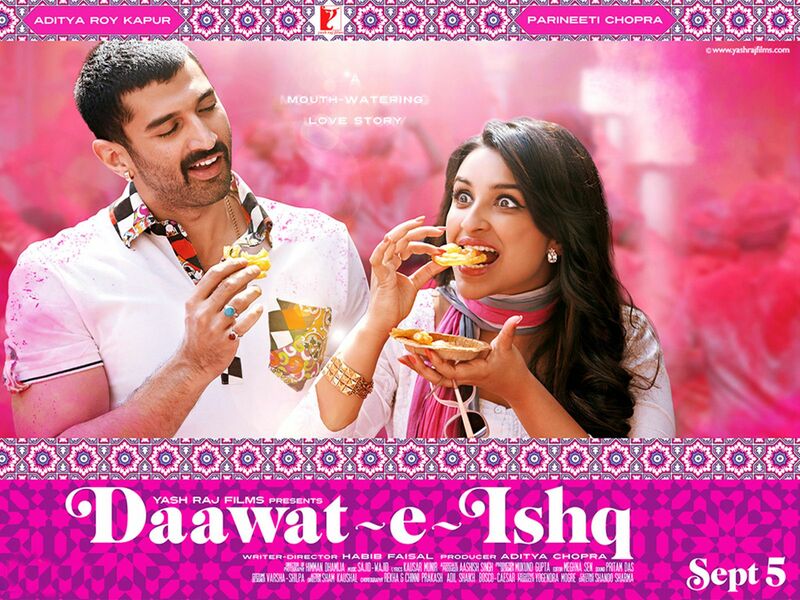 It’s ironic this movie is called ‘Daawat’E-Ishq. Creating a poster where the lead pair are enjoying a jalebi each and inserting a few kebabs and biryanis here and there, as a blink-and-miss appearance, (Trust me, even the biggies stay for longer in movies) doesn’t count. Parineeti Chopra has proved her prowess time and again, however its high time her fans see her essay a different role, something different from the vivacious character! Her Hyderabdi accent however, was impeccable, at least way better than a forceful 'kaayku' and 'merko' by Vidya Balan in Bobby Jasoos! You can sit through and even probably laugh at a few dialogues in the first half of the movie but the second half is a drag. The only saving grace in the film was a) Anupam Kher b) The background score. The story had some scope, but alas, wasn’t executed well. It was also slightly regressive in an attempt to look modern and independent. “You’re not my daughter, you’re my son!”, a dialogue that Anupam Kher said to Chopra to express how proud he was of her, was a major tick off and clearly contributed to my resentment. So for those who are expecting a tasty platter of kebabs garnished with some ishq, all you may get could be a platter of disappointment! - The Author; Disha Dadlani is pursuing a Bachelor of Arts in Media & Communication and is currently in her second year.